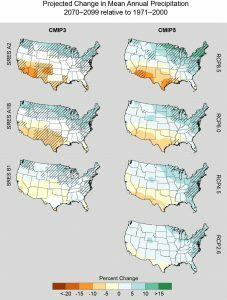 A Technical Report released by the National Oceanic and Atmospheric Administration (NOAA) provides important insights into similarities and differences between two generations of model simulations and corresponding sets of scenarios describing future emissions pathways. 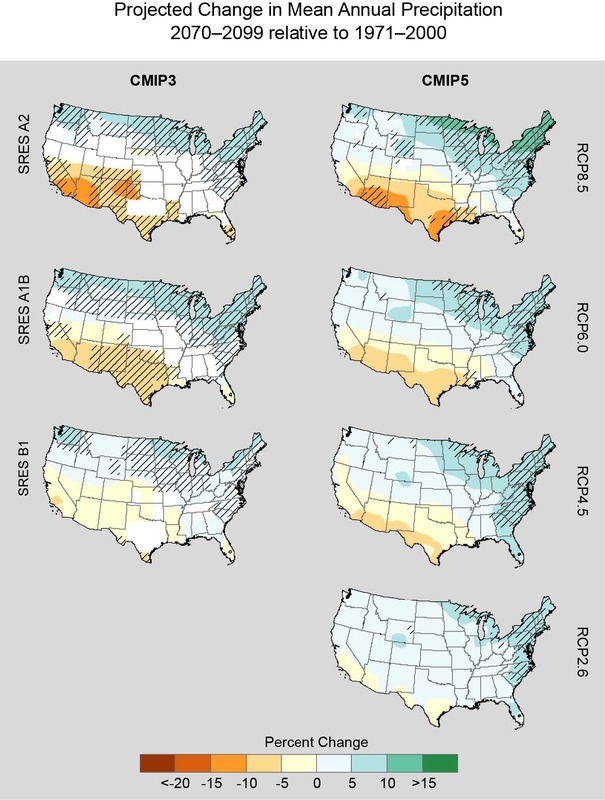 The report, entitled “Regional Surface Climate Conditions in CMIP3 and CMIP5 for the United States: Differences, Similarities, and Implications for the U.S. National Climate Assessment” compares simulations of historical and future U.S. climate produced by Phases 3 and 5 of the Coupled-Model Intercomparison Project (CMIP3 and CMIP5, respectively). The report concludes that the differences between the two are generally very small, both in magnitude and in spatial distribution. 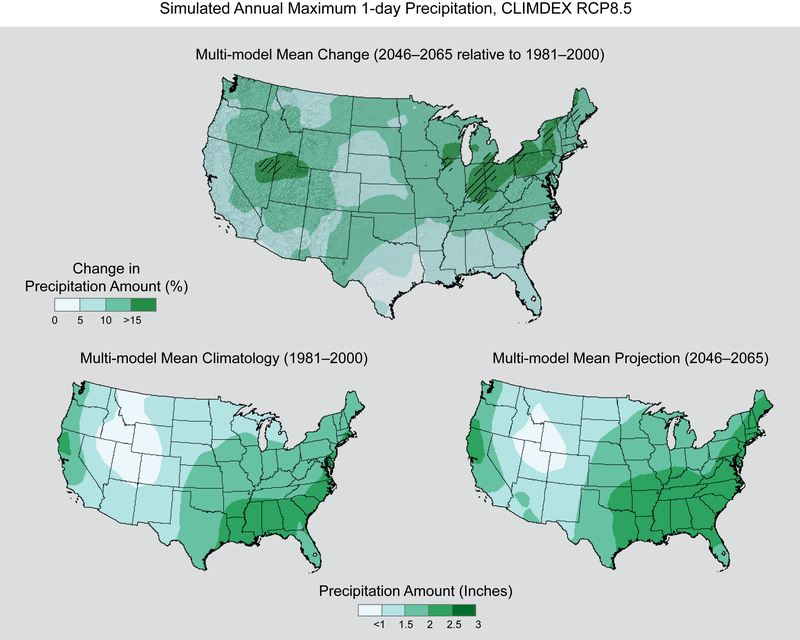 Because many of the findings of the Third National Climate Assessment (NCA3), released in May 2014, were based on CMIP3 simulations, the finding that CMIP5 simulations produce very similar results serves as further validation of the findings of NCA3. The research and writing was done by NCICS climate scientists Liqiang Sun, Kenneth Kunkel, Laura Stevens, and Andrew Buddenberg, along with J. Greg Dobson of the National Environmental Modeling and Analysis Center (NEMAC) at the University of North Carolina–Asheville and David Easterling of NOAA’s National Centers for Environmental Information. 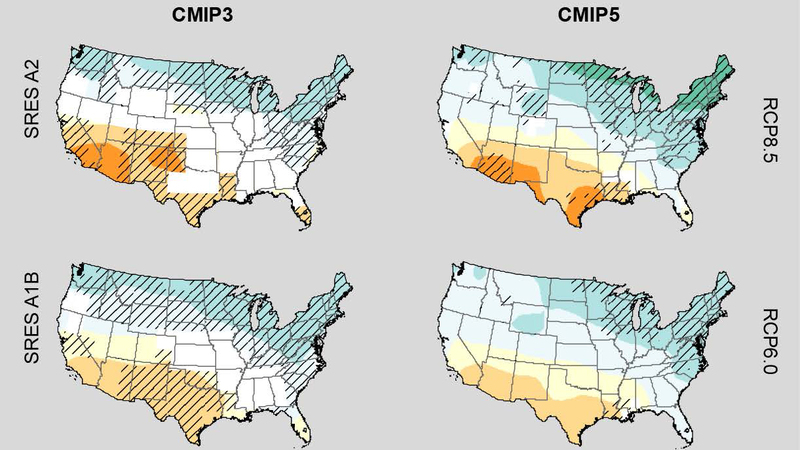 NOAA NESDIS Technical Report 144: Regional Surface Climate Conditions in CMIP3 and CMIP5 for the United States: Differences, Similarities, and Implications for the U.S. National Climate Assessment.